John E. Willey, Sr, age 97, lifelong resident of Seaford, DE passed away on Saturday, December 1, 2018. Mr. Willey graduated From Seaford High School and attended Goldey Business School in Wilmington. 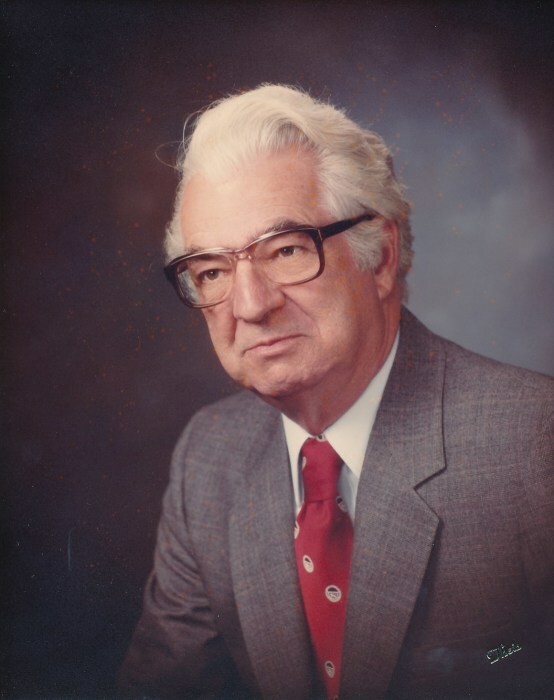 John was President of Peninsula Oil Co, Inc. until his retirement. The Family business was founded by his father, J. Emory Willey, Sr in 1935 and employed four generations of the Willey family, now headed by John E. Willey II. The business grew from one 500 gallon delivery truck to a fleet of delivery trucks serving Kent & Sussex counties in Delaware and Caroline & Wicomico counties in Maryland and a business of 13 Uncle Willie’s convenience Stores. He served in the U.S. Navy during WW II in the Pacific Theater aboard the USS Cowanesque, from May 1944 to February 1946 and was discharged with a rank of Seaman First Class. He was a member of the Seaford Lions Club and performed a specialty act in the annual Lions Club Show as “Lonesome”. He served on the Seaford City Council. In October of 1996 he was named Businessmen of the Year” along with his son, John E. Willey, Jr. He helped spearhead development of the Nanticoke River Marino in 1997 aided Blades Economic Development Corp. (BEDCO) in acquiring property next to Nanticoke River Marino Park Donated by Frederick Hertrich. He served on the Board of Directors of BEDCO, in 1998 was the first Commodore of the Nanticoke River Yacht Club, a member of the Seaford Golf and Country Club, the Sussex Pines Country Club, the Cambridge Yacht Club, the Indian River Yacht Club. He Served on the Board of Directors of Wilmington Trust Company, Delmarva Petroleum Association. John was a lifelong enthusiast of boating and fishing having had a variety of boats thru the years. They were always named WILCO. John was the son of the late J. Emory Willey, Sr & Edna Hearn Willey. He was also preceded in death by his brother, James E. Willey, Jr, his wife of 61 years, Virginia Elliott Willey and his son, John E. Willey, Jr. He is survived by his daughter, Judith W. Slacum & husband, George, daughter-in-law, Evelyn Willey, grandchildren, Suzannah M. Smoot, husband Scott, John E. Willey II, wife San and Heather P. Willey, great-grandchildren, Stacey E. Gillin (Jeremiah), Cody L. Smoot, James E. Willey, J. Eric Willey, Jordan E. Willey, Joshua E. Willey and Lexie Willey, 2 great-great-grandchildren, Bailey Gillin and Hunter Gillin, several nieces and nephews, and great-nieces and nephews. A special thank you to Jane Willey Larkin and husband Robert for their assistance with “Uncle John”. Funeral Services will be on Friday, December 7th at 1 PM at St. John’s United Methodist Church, 300 N. Pine St, Seaford, where friends may call from 12 to 1. Burial will be in Odd Fellows Cemetery. In lieu of flowers the family suggests donations may be made to the Nanticoke River Yacht Club, P O Box 162, Seaford, DE 19973 or the Seaford Historical Society, 203 High St, Seaford, DE 19973.